Earlier this week I wrote a post about Milk and Cookies. Several people commented on the pretty Christmas dishes that were pictured. So I thought I would share what happened to those dishes. A sweet lady friend was in an accident and was laid up right before Christmas. After having a back injury myself a year ago, I knew the only thing that this gal would be able to do was #1 read, #2 watch a DVD, or #3 listen to music. So with that in mind, my daughter and I made up a Tea Party in a Basket. We baked fresh scones, prepared a plate of cookies, I found a perfect Tea book, and added a DVD and CD into the basket. Along with the pretty Christmas dishes. Tea, Hot cider and Hot chocolate mix to round out the goodies. It's not a fun way to spend the week before Christmas, but hopefully the Tea Party in a Basket brought a little pleasure during an unpleasant time. May this Seasonal Sunday be the beginning of a wonderful New Year! As we come to the close of yet another year, I want to send out a THANK YOU to all of you who read and follow my little blog. It really means so much to me as you have shared your life with me. I have enjoyed meeting so many wonderful people. I have been blessed by your very sweet and generous comments. I wish each one of you a very Happy and blessed New Year! We all do wrong things. Whether in thought or deed, I have sinned against God in my life. I am so thankful that the gift of God is free, and that Christ's death on the cross was atonement for my sins. Dear Lord, I know that I am a sinner and in need of Your forgiveness of my sins. I know I deserve judgment in hell. I understand that I can only receive this forgiveness through Your Son, Jesus Christ, who died for my sins and rose from the dead that I might spend all of eternity with You in Heaven. I now invite Jesus Christ to come into my life as my Savior. Thank you in Jesus' precious name. Amen. Here we are, the last few days of 2011. As I look back on this past year I am amazed at the talent, creativity and beauty that is shared via blogging. Whether it is thift store shopping, finding treasures in antique shops, home improvement or quilting, the internet has surely made it a very small world. I'd like to introduce you to a very special lady. This is our sweet 96 year old aunt. She has been my teacher, friend, and soul mate in treasure hunting for over 30 years. I used to tag along with her to yard sales, antique shops and all kinds of second hand stores. She loved paper weights, and she also loved vases. She had quite a collection of both. I recently found two beautiful tea/coffee cups for her birthday last month. More importantly, she has loved my children and has been a huge part of their growing up years. I like the term "Vintage things" better then old, or antique. It is a term that I learned about when I started participating in Vintage Thingies Thursday with Colorado Lady Suzanne as our hostess. 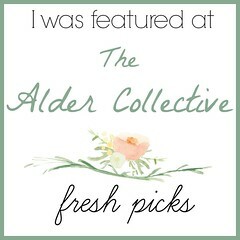 Every week I love to visit the other blogs and see what great vintage treasures are being shared. Please be sure to stop by Colorado Ladys blog and take a peek at the other great Vintage Thingies. Wishing you a very happy and blessed New Year! What is better on Christmas Eve then cookies, milk, hot tea or cocoa? I hope your Christmas was as wonderful and delicious as a cold glass of milk, or a hot cup of tea and a freshly baked cookie. 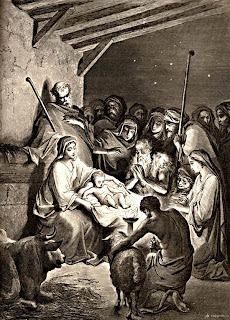 and the Worship of the Wise Men. Grateful Thoughts, Forgiving and Forgiven. Wishing you and your families a very blessed and Merry Christmas! May the celebration of our Savior's birth inspire us all to rejoice and to serve Him with humble hearts. May we always remember the "reason for the season". Our Heavenly Father loved us so much that He gave His beloved Son to this fallen world, to die for our sins so that we may live forever with Him (John 3:16) It's a gift that cannot be earned or worked for. It's free to all men. May your hearts be filled with love and joy this Christmas season. Drop by teaspoon onto an ungreased cookie sheet. Bake at 375 degrees for 10 minutes. Aren't they pretty :-) I do place the M&M's on the top. I hope you enjoy them. As most of my readers know, I love to scout out the thrift stores and find little treasures. Well the other day when I was at Goodwill I came across these darling dishes. Great buy for $1.00 each. They are perfect to fill with cookies and take to my neighbors. 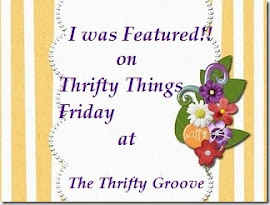 I'm joining Diann for Thrifty Things Friday. I thought it would be fun to share some of the pretty holiday tables that have been featured on my blog. Thank you so much for stopping by. Wishing each one of you a very Merry Christmas. Our house decorated with lights. Today I am sharing another goodie. These are great to make just to eat, but they make very nice little gifts as well. My niece made these Sweet Roasted Nuts for us last year and of course we all loved them and wanted the recipe. Well, she basically said she did not have a recipe but told me how to make them. Melt 1/2 stick of butter, 1/4 cup of brown sugar, a pinch of salt and a little vanilla in a sauce pan. Coat the nuts in the mixture and then spread on a baking sheet. Bake at 350 degrees for about 10 minutes. You will know when they are done when you smell them! I found these little canning jars at Target, and they are the perfect size for gift giving.